Broken Window? Don't Despair, Repair! 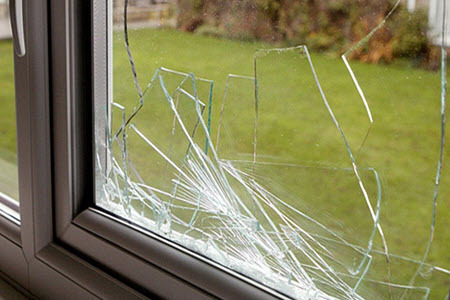 A broken window in your home or at your business can seriously affect your comfort level, impact your utility bills, and expose your home to potential intruders. Given that glass is a fragile and complex material to work with, it is best that you leave the task of repairing your broken windows to a professional. With a high-quality and affordable window repair service from a professional window repair company like Rockland County Handyman, you won't need to deal with a broken window for long. We are fully equipped with the knowledge, skills, and tools necessary to ensure a proper repair of your broken windows in no time. One of the main reasons why people hire a professional window repair company is because of their expertise and experience, and Rockland County Handyman has both. We have been serving Rockland County for years and have consistently delivered exceptional and long lasting repairs on every job. We understand the urgency of a broken window situation and consequently ensure that your broken window is fixed within the shortest time possible, endeavoring to meet any deadline. Glasswork produces a lot of waste, which is dangerous to both humans and pets. A professional window repair company like Rockland County Handyman will ensure that all the waste from the site is removed and disposed of properly. You, therefore, never have to worry about the repercussions of your broken window repair. Rockland County Handyman offers a warranty on all our repairs. Our services are secured by quality; therefore, you can seek repair and maintenance at no cost whenever the need arises. Our team of experts are dedicated to giving our customers the best quality service at all times. Rockland County Handyman is an expert at fixing broken windows. 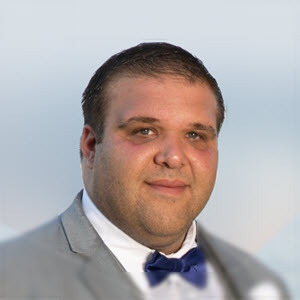 We have over a decade of experience serving residential and commercial customers in the Rockland County area. Our services include repair of cracked, chipped and shattered glass, missing or worn weather-stripping, damaged window frames. And we'll get those tight, difficult to open windows sliding smoothly again. So I have been living in this house for almost 15 years and my window started to crack bringing cold air. This company came to the rescue so quick and did a great replacement on my window. It has not been giving me any problems and I recommend this business to anybody that needs a window job. We were impressed with our window installation, choice team. Arturo was friendly, knowledgeable and was able to answer our questions. Our windows look great and they were installed precisely how we wanted them installed. Rockland County Handyman was very professional in all my communications. They installed windows quickly, efficiently and without any damage. Senad and his team who came for the installations did an awesome job. They were very respectful, work surgical shoes and used protective sheets so that the apartment floor was not soiled. Loved the experience! The whole experience with the Rockland County Handyman group was outstanding. Senad the owner did a great job coordinating the sale and the install of the windows. Arturo and his install team were clean, professional and fast. I would highly recommend Rockland County Handyman for a fantastic window install and sales experience. Did a wonderful job. I hired them to do a window replacement and there was no hassle. Professional, quick, work just looks amazing! Not much more to say, I'd highly recommend them! Rockland County Handyman did a great job! They were professional in every aspect from the office staff to the gentlemen who installed our windows. The window purchase and installation went smoothly and the installers cleaned up after the job was completed. My husband and I would highly recommend Rockland county Handyman their affordability and high quality work.